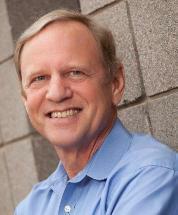 Richard C. Nehls has practiced law in Boulder, Colorado since 1976. Rich concentrates his practice on real estate and other business transactions. His real estate practice includes the purchase, development, financing, construction, leasing and sale of office, retail, residential, and industrial buildings. His business transaction practice includes entity formation and the acquisition and sale of ongoing businesses via asset or stock acquisition--for example, the purchase or sale of cable companies, rafting companies, fast food franchises, and restaurants. Rich graduated from the University of Chicago Law School where he was an editor of the law review. He served as the president of the Boulder County Bar Association in 1994 and 1995 and received its Award of Merit in 2000 for outstanding achievement, dedication to the legal profession, and service to the community. Prior to becoming a partner at Packard Dierking, Rich was the managing partner of Lirtzman, Nehls & Hepner. When he is not practicing law, Rich enjoys skiing, mountain biking, concerts, movies, college football, and college basketball.